The Jazz on the Fringe programme of free jazz concerts was announced earlier this morning. Valletta 2018 is once again collaborating with Arts Council Malta on Jazz on the Fringe, a project which includes a series of free concerts organised as part of the run up to the Malta Jazz Festival 2016, as well as the fourth edition of the Malta Jazz Camp. The series of free concerts includes five Valletta Midday Concerts which will be running from 19 to 23 July and will feature local and international talent. These will be held near the Parliament Building at City Gate and will start at 12.30pm. Apart from the day concerts, these is also one free night concert by Rino Cirinnà/Warren Galea Quartet featuring Dean Montanaro and Manuel Pulis, happening at Talbot and Bons, Sky Parks Business Centre, Luqa on Tuesday 19 July at 8.30pm. 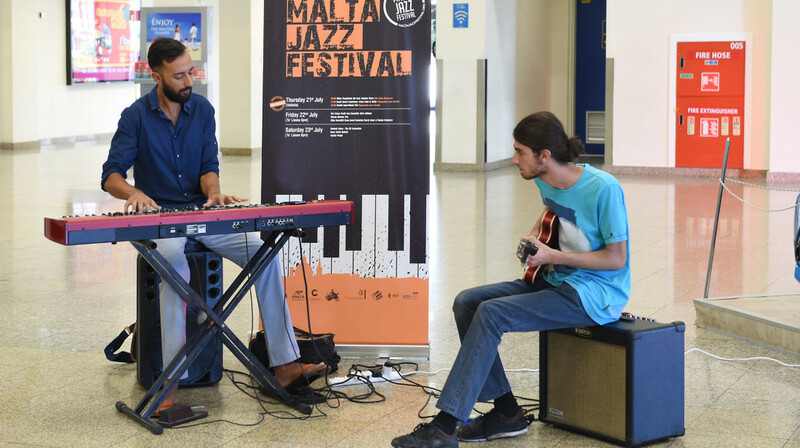 The Malta Summer Jazz Camp will provide four masterclasses and workshops by important educators in the international current jazz scene, which vary from American grooves, to singing and improvisations to learning about the jazz language. There will also be a workshop for saxophone players. Applications are closed and the workshops will be held at the Johann Strauss School of Music. Jazz on the Fringe is organised by Arts Council Malta in collaboration with Valletta 2018 and supported by MIA. The Malta Jazz Festival 2016 is organised by Arts Council Malta and supported by Cyberpass, Malta Tourism Authority, MSV Life and TVM. Visit maltajazzfestival.org for more information. Masterclass 1 – Advanced rhythmic concepts applied to different American grooves. Masterclass 4 – For sax players only! Tickets can be bought from www.ticketline.com.mt.